As policy observers anticipate a meeting later this month between President Trump and China’s President Xi Jinping at the Group of 20 summit in Buenos Aires, recent news items continue to highlight the adverse impacts ongoing trade disputes are having on some sectors of the U.S. agricultural economy. 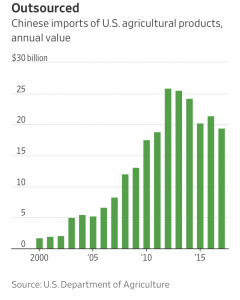 The trade war is also providing economic incentives for robust Chinese investment in its domestic agricultural production. 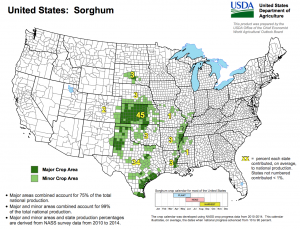 Weinraub and Huffstutter indicated that, “Farmers are feeling the pinch. Those in central Illinois could pay up to 40 percent more than in previous years to store crops over the coming weeks, agricultural consultant Matt Bennett estimated. With ample supplies available for processing due to a sharp fall in exports, 2018/19 domestic #soybean use in the US could reach a record 60.1m t and exceed exports by 9.0m, the most in six seasons. 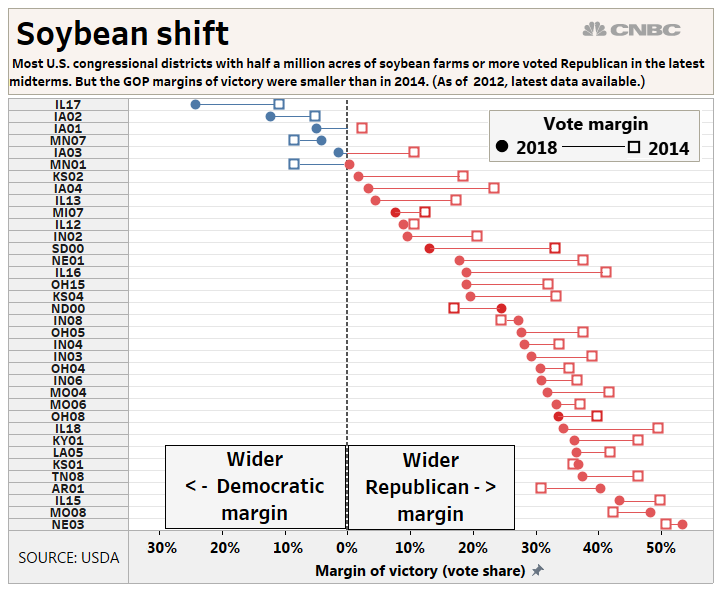 “Soybean farm belt sticks with GOP in midterms but Democrats gain ground, CNBC analysis shows,” by John W. Schoen and Isabel Soisson. CNBC Online (November 15, 2018). “Trump Administration Wants Soybeans Included in Any U.S.-China Trade Deal,” by Mario Parker. Bloomberg News (November 15, 2018). 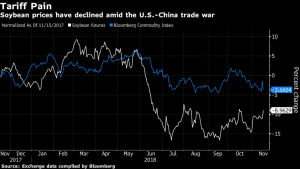 Separately, Reuters writers Hallie Gu and Dominique Patton reported Friday that, “China’s imports of sorghum slid in October to a trickle, customs data showed on Friday, amid ongoing trade tensions with top exporter the United States. Imports of sorghum, mostly used in China to feed the its massive livestock herd, fell to 20,000 tonnes, down 94 percent from a year earlier, according to data from the General Administration of Customs. The decline follows a 77 percent drop in September. The Reuters article indicated that, “Beijing slapped a 25 percent duty on imports of the grain from the United States on July 6, in retaliation over similar trade measures taken by Washington. 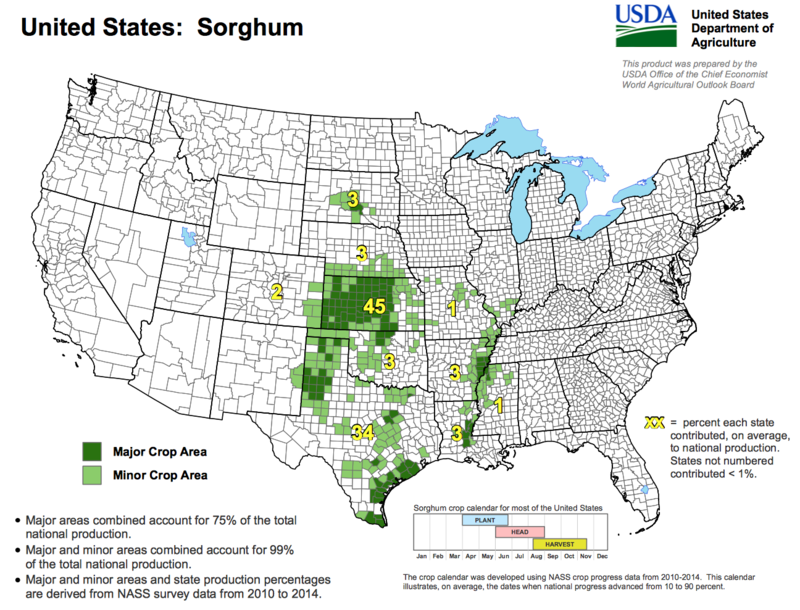 United States- Sorghum. 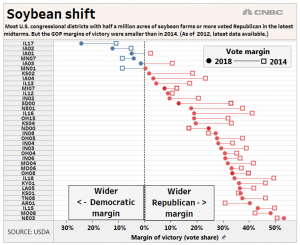 USDA, Office of the Chief Economist (https://goo.gl/vBY9Fx). “Global supply and demand conditions, as well as Government policy changes, contributed to long-term growth of U.S. dairy exports,” USDA- Economic Research Service (March 20, 2018, https://goo.gl/NvdB96). Mr. Mulhern added, “So, the tariff mitigation package announced by the secretary of agriculture this summer has provided a little bit of relief, but it has come nowhere close to covering the kind of damage that is being done. 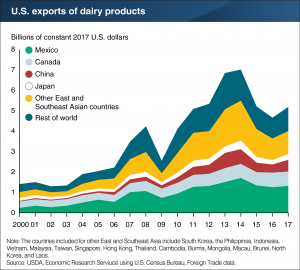 Adam Belz reported Friday at the Minneapolis Star Tribune Online that, “Dairy farmers in Minnesota sent a letter to U.S. Secretary of Agriculture Sonny Perdue this week arguing that the government aid is not enough to offset losses from the trade war. “A neighbor uses an even simpler tool to boost production: a plastic tube jammed into a bag of fertilizer that she hoists over her shoulder. “The two women are among roughly 280 million people employed on farms in China, more than 100 times as many as in the U.S., according to government figures. Chinese agriculture is dominated by small farms with low crop yields; the average Chinese farm is less than two acres, according to experts—a stark contrast with 400 acres in the U.S. But the trade dispute between the U.S. and China is giving Beijing fresh motivation to make the country’s farms more efficient. 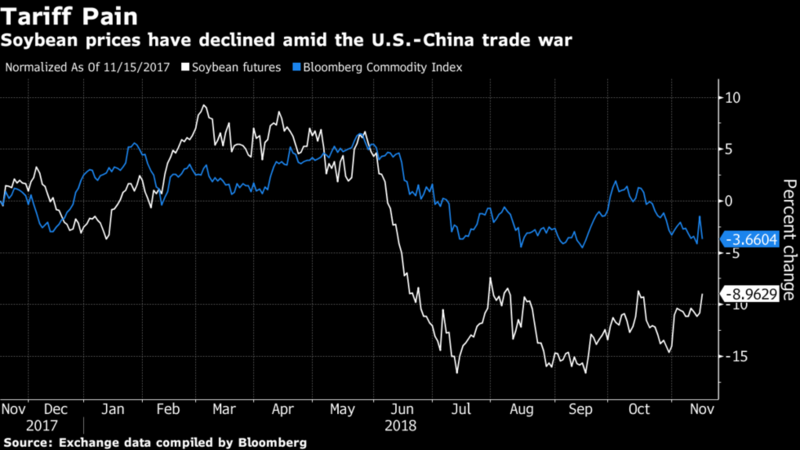 China has imposed tariffs on American soybeans, wheat and other crops in retaliation for U.S. tariffs on Chinese goods, making those imported crops more expensive and highlighting the country’s dependence on foreign growers. “China Plows Ahead With Modern Farming as American Tariffs Drive Up Crop Costs,” by Dominique Fong. The Wall Street Journal (November 18, 2018).